Okay! Musume Time: A New Princess Stands in Line for the Throne! 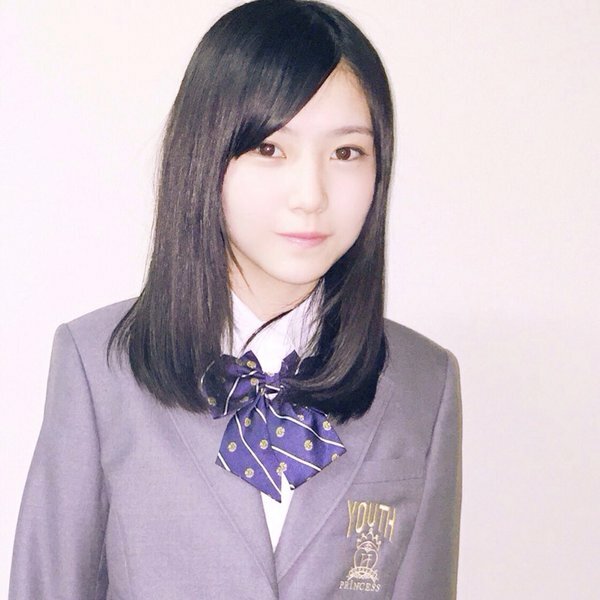 Welcome, Horii Nina of Houpriyusu! A New Princess Stands in Line for the Throne! Welcome, Horii Nina of Houpriyusu! Hello, all! I apologise for my lack of updates and posts thus far, however University and life have taken priority, as well as some much needed mind-rest. I have also not neglected my contest, and have recently been able to look through all the entries. Hopefully a winner shall be announced soon, however I must look through my 3 finalists once again before making a solid decision! For now, however, I shall be updating you all on the world of Houkago Princess! I wonder what they will have announced this joyous January? 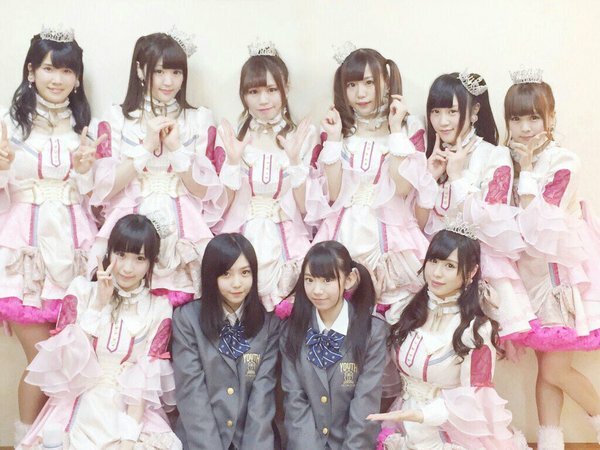 On January 17th 2016, it was revealed during the Miss iD 2016 Grand Prix that contestant #87, Horii Nina, had been added Houkago Princesses little sister unit, Houpriyusu! Both Nagasawa Marina, Houpriyusu's Gravure Queen and first member of the unit since its creation, and Horii Nina had participated in the annual Modelling competition where Idols, aspiring actresses, models, gravure models and singers all compete for the grand prize. Both girls made it to the semi-finals of the competitions, with Nagasawa Marina being crowned #1 during the CHEERZ voting portion of the contest back in November, though she did not win the overall crown at the Grand Prix. Horii Nina, who had joined the competition in order to make her dream of becoming a singer and an idol come true, is 16 years old and from the Fukui Prefecture. A high schooler, Nina loves to sing and dance, and is a fan of both Uverworld and Momoiro Clover Z. For her, the ultimate idol is MomoClo Z's Tamai Shiori. Being 16 years old, Nina is now the youngest member of Houpriyusu, as all other members are the age of 20 years or over. Regarding my own thoughts on Horii Nina, honestly, I find her charming. From some of her images, as well as her introduction video on the Miss iD youtube, she has this rather sweet awkwardness about her that is quite adorable, as well as endearing to see. Sure, her posture could use some work, and I feel that her confidence could be risen a tad, however everything else about her? I like it. I like her, because there is this quality of innocence about her that I think all the other members of Houkago Princess and Houpriyusu lack a little. Naive innocence. That's what Nina seems to have when I look at her, and I rather like that about her. I also enjoy the persistence this girl seems to have; despite not being an Idol previously or even an entertainer (from what my own research has told me at least), she went ahead from Fukui to Tokyo in order to audition for the Miss iD competition, which is known for being a contest between the indie and unknown Idols of the Japanese entertainment world, with a dream of becoming a singer and an Idol after being a part of the contest. Despite any odds or the fact she might have had little to no experience prior to this, Nina had the get-up and go to follow her dream through a contest as opposed to an audition, and basically put her name and face out there for Japan to see, and heck, she made it to the semi-finals of Miss iD 2016! This girl has gumption, and she goes for what she wants. Despite her meek looks, she is hardly a wallflower, but indeed a fighter, it seems. Honestly, this girl is adorable, and she is inspiring to boot. She chased a dream, and through that dream, she became a Princess and an Idol, conquering one of her aspirations by joining a contest that she hoped would give her a leg up in the career she wanted to pursue. And, in the words of my friend Danielle, 'she gives me princess vibes', which is completely true. She has that HouPri vibe, and reminds me a little of Odagiri Nana when the group first debuted (though admittedly, a better singer by far)., what with her awkward stance and her cute look. She's adorable, but she dreams big and worked to get where she is now, and honestly, I am happy to see her in Houpriyusu, because even though they are small, I think that Nina will still be able to achieve a lot with them, as well as gain experience in singing, dancing and being an Idol in the long run. Horii Nina is a cutie, and I can't wait to see her growth as a member of Houpriyusu, and maybe one day, Houkago Princess. A diamond in the rough, I do hope that this girl will become a polished gem whose dreams only continue to grow. Congratulations, Horii Nina, and welcome to the Kingdom of Houkago Princess and Houpriyusu! I hope to see more of you in the future, and I anticipate your progress! Until next time everyone, please stay happy, healthy and, of course, keep loving your Idols!